After many years of living in Chicago, Illinois, I’ve spent a lot of time exploring the city. 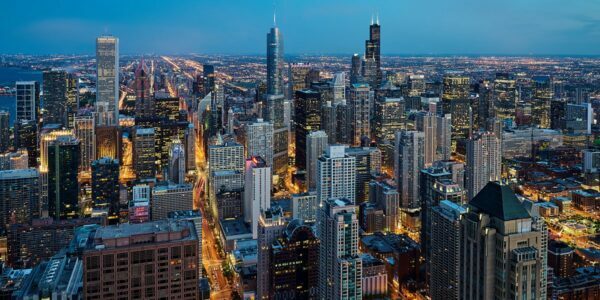 It’s one of America’s most interesting places to visit and with so much to see and too many things to do in the Windy City, it can be hard to narrow it all down into one list. That’s why I’ve created this guide to 10 Chicago attractions for you to explore, with one bonus place to visit. 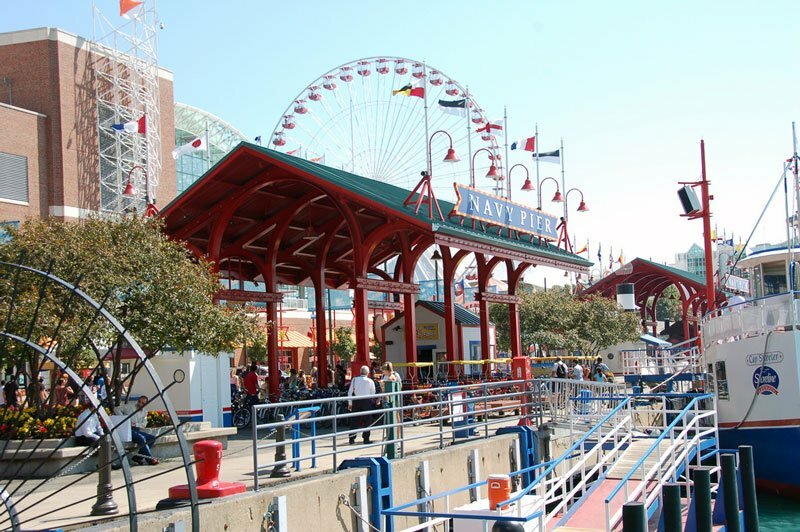 Visiting the iconic Navy Pier is one of the best things do in Chicago with kids or adults. You will find lots of fun activities for the kids including the Centennial Wheel, climbing walls, a free-fall ride, remote control boats, swings, a carousel, a children’s museum, and more. The adults in your group may also enjoy those rides, but don’t miss the dinner cruises, the indoor greenhouse, shopping, and a beer garden, among tons more things to do. 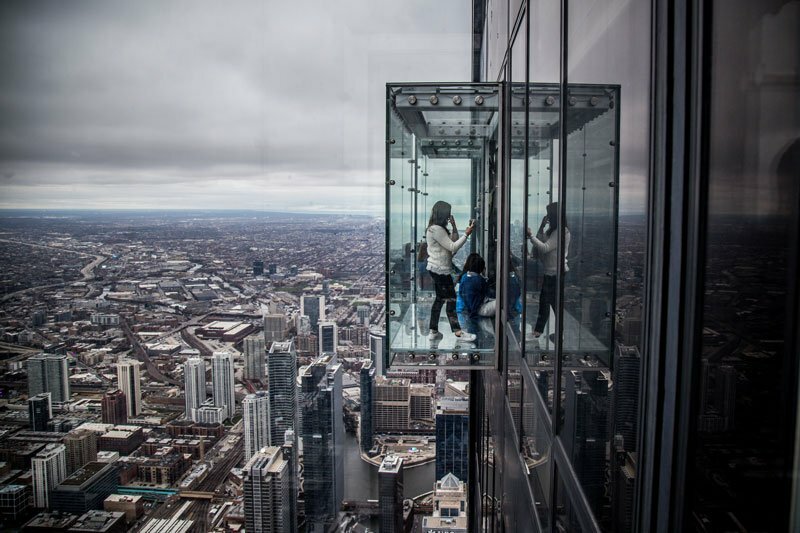 The Willis Tower is best known for the Skydeck on the 103rd floor. As long as it isn’t a cloudy day, you will get amazing views of not only the city, but many of the outlying suburbs, as well as parts of Indiana, Wisconsin, and Michigan. If it’s not a clear day, you may want to postpone a trip to the top; unless you enjoy looking at the inside of a cloud. In 2009, retractable glass balconies were added giving tourists the ability to stand over South Wacker Drive that lays 103 floors below. Discover what the inside of a mine shaft looks like, watch a baby chick as it takes its first steps, get lost in a maze, explore science with your hands, step onto one of America’s first diesel-electric trains, head “down on the farm”, explore outer space, take a walk down Main Street, and so much more. Not only does the Museum of Science and Industry offer the above permanent exhibits, every few months or so they rotate in other exciting temporary exhibits. Founded in 1868, this zoo has been a Chicago icon for many, many years. 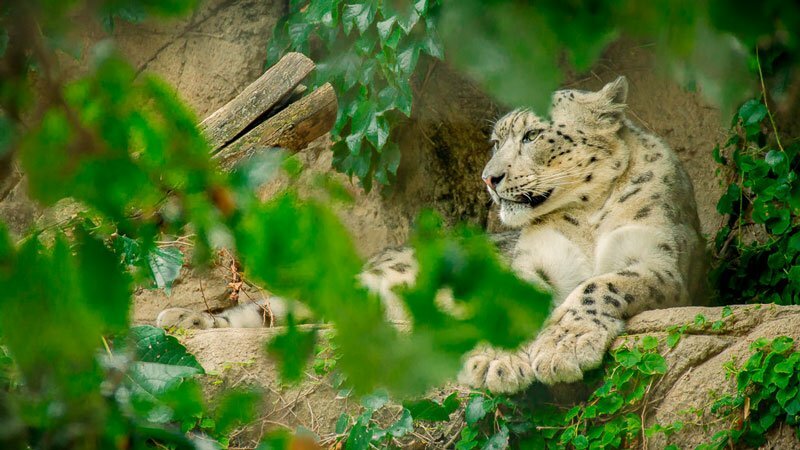 At Lincoln Park Zoo, you can enjoy penguins, storks, flamingos, owls, monkeys, reptiles, beavers, camels, cows, snakes, turtles, lions, tigers, and bears…Oh, my! All of these animals, and much more, are all located at Lincoln Park where admission is always FREE! You can even register to actually enter the penguin enclosure and enjoy these adorable birds right at your feet! Winter time offers its own beauty as the zoo lights come on. 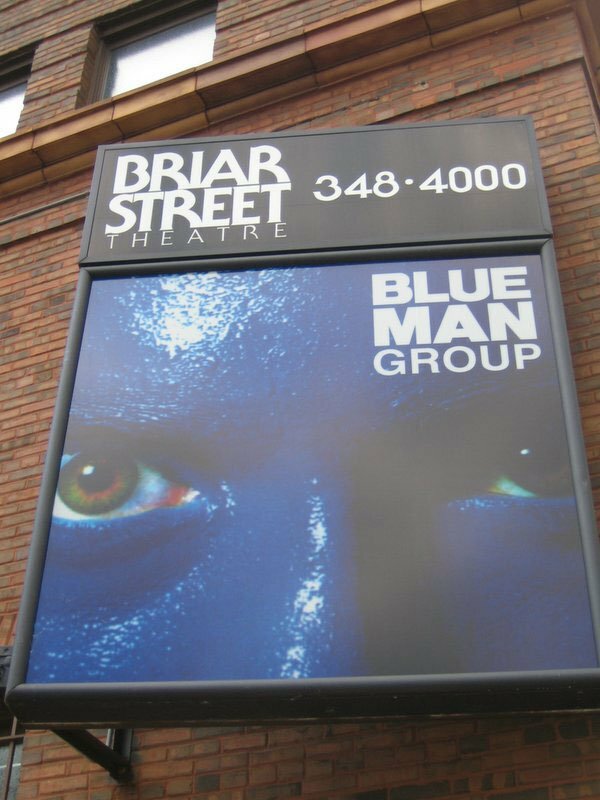 If you haven’t had a chance to be a part of the Blue Man Group phenomenon, Chicago is your chance! With this performance, you will be amazed as three (blue and bald) men bring music and entertainment to your seats. To see a video of them in action and what the hype is all about, take a look on YouTube. If you or someone in your group is autistic, be sure to check when their next autism-friendly show is. 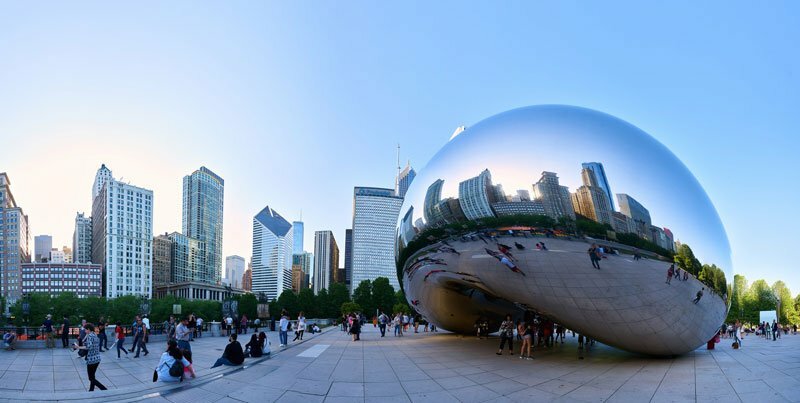 Millennium Park is the number one Chicago attraction, but it’s also the best known the Midwestern United States. Here you will find all kinds of attractions and fun things to do. During the summer months, you can visit the t where you will have the chance to sit on the grass and listen to the free concerts. Another favorite is Cloud Gate, or also known as ‘The Bean’ to many. This sculpture is made of over 150 stainless steel plates. They are welded and polished so unbelievably well, that you can’t really tell it isn’t one giant piece of steel. On Randolph St., between Michigan Ave. and Columbus Ave., you will find Crown Fountain. It’s hard to miss considering you will see two very large faces displayed on 50 ft glass block towers. From mid-spring to mid-fall, water sprays from the mouths of these faces. Kids and grownups alike enjoy running through the fountains and cooling off in the shallow pool below them. During the winter months, you can find outdoor ice skating at the McCormick Tribune Rink. Public skating is free and skate rental is available for a small fee. The Harris Theater is used as the indoor performance venue for Millennium Park. 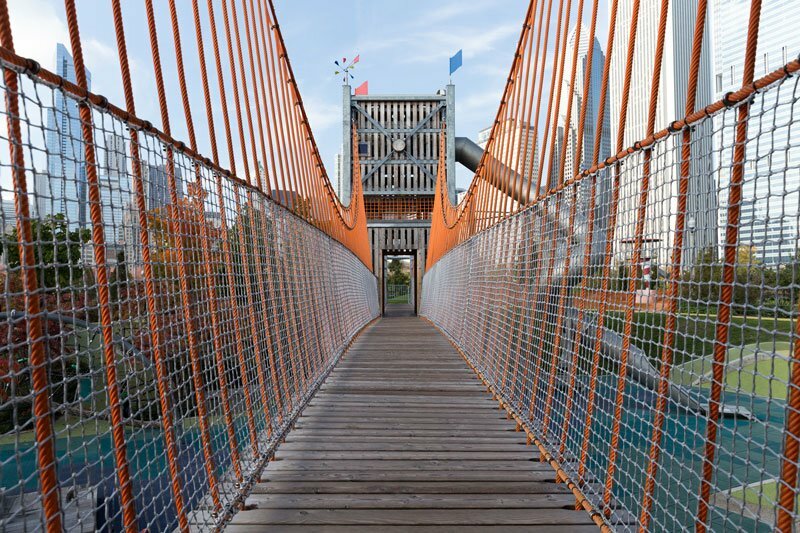 Connecting Millennium Park and Maggie Daley Park, you will find the BP Pedestrian Bridge. What can you not do at Maggie Daley Park is the question! Enjoy the climbing wall which is suitable for anyone who fits into the climbing harness. This generally fits kids at the age of 4 or so. Head to the Cancer Survivors’ Garden where you can enjoy great views of Lake Michigan and take in the beauty around you. Rent rollerblades or scooters (in the summer) and ice skates (in the winter) to enjoy the Skating Ribbon that runs through the park. Visit the Play Garden spaces that are each geared for different age groups. Fancy a game of tennis? Grab a permit and hit the courts with a friend. 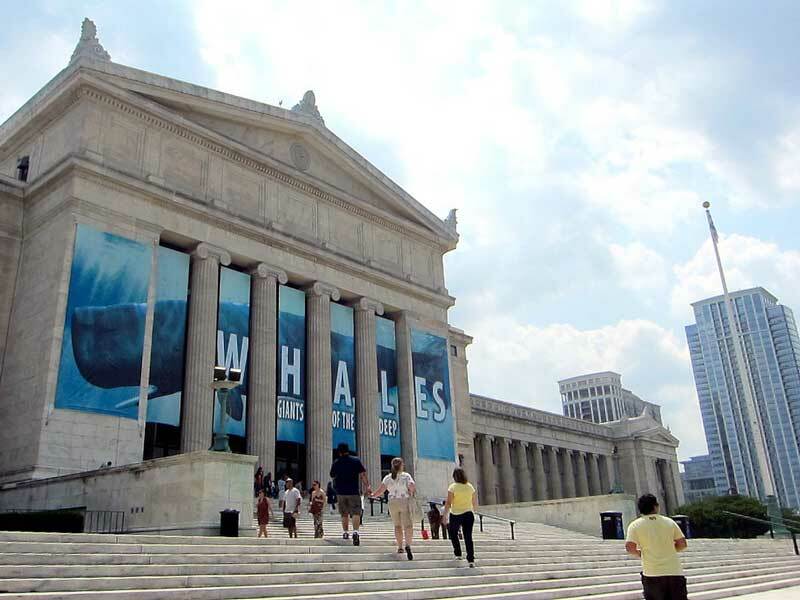 Discover what The Field Museum of Natural History offers as you travel back in time 4.6 billion years. You can see dinosaurs, mummies, the evolution of our planet, the Ancient Americas, the Hall of Gems, or watch as Field Museum scientists get fossils ready for exhibition, plus a ton more. Before you go, be sure to download the Museum’s Mobile App to get your very own tour, behind the scenes videos, and more. WiFi is available to all guests in the museum. Drive you and your group on your own rented electric boat, or hire a driver with the Chicago Electric Boat Company. If you are licensed to drive a car and are over the age of 21, you can drive their boats. Bring along some food and drinks, and as long as there is a designated boat driver, those can even be adult beverages! What a relaxing way to spend the day in the city! 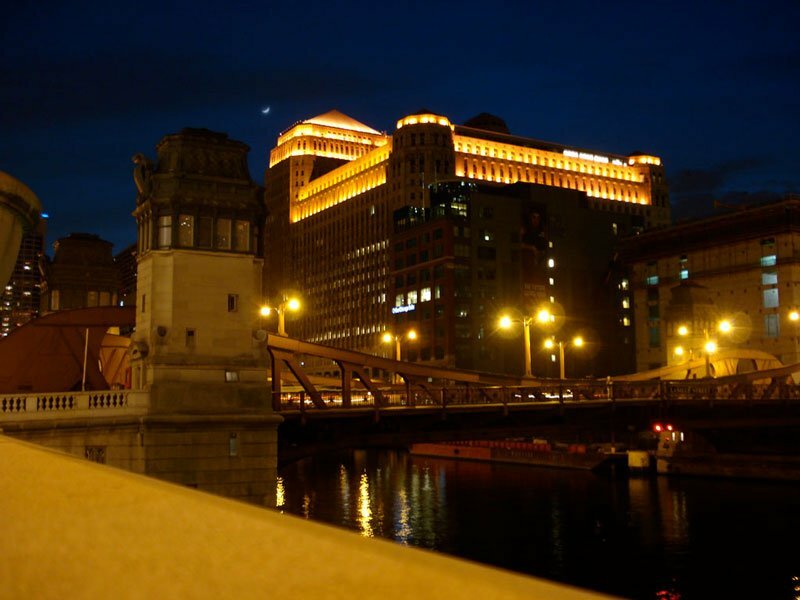 Chicago has many dark and hidden secrets in its past. 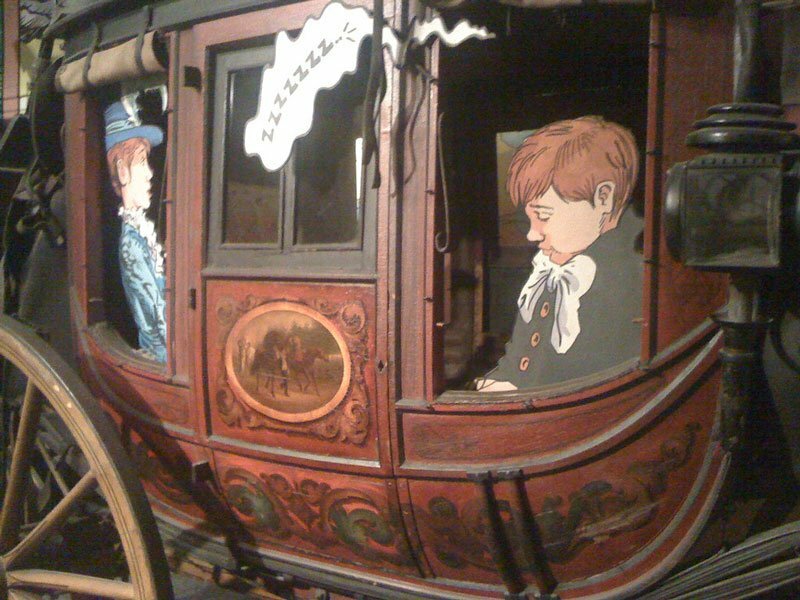 Go on a walking or a haunted bus tour to find out all about the city’s dark past. Bring your camera with and maybe you’ll even catch some paranormal evidence to share with your friends. 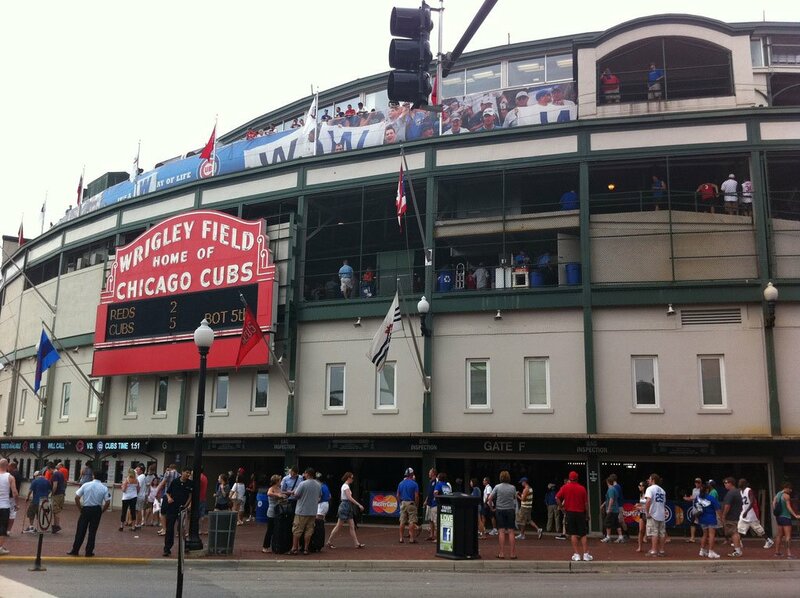 Catching a Cubs game at Wrigley Field is one of the best things to do in Chicago. Even if they’re the most expensive tickets in baseball, it’s definitely worth it! Just make sure you’re in town at the same time as the Cubs and if the weather and price are right, go for it! Chicago is the third largest city in the United States with New York City and Los Angeles above it. Not only is Chicago full of wonderful and diverse people, it is also filled with wonderful and diverse things to do! Armed with this list of the top 10 Chicago attractions, your trip to the ‘windy city’ is bound to be a blast! Kathleen is a wife, a Mom to three little ones, and is currently living in Sweden as an American expat. She has a degree in Elementary Education but decided to give that all up for a life of wiping noses and shuttling kids to soccer practice. Follow her on her site at <a href="https://familytravellife.com/">Family Travel Life</a> where she blogs about all things Family. Travel. and Life. or on <a href="https://www.facebook.com/familytravellife5/">Facebook</a> and <a href="https://twitter.com/famtravellife">Twitter</a>. These are great! Love the idea of the electric boats! We really enjoyed the Planetarium when we were there, too. Thank you so much, Jillian, for stopping by! 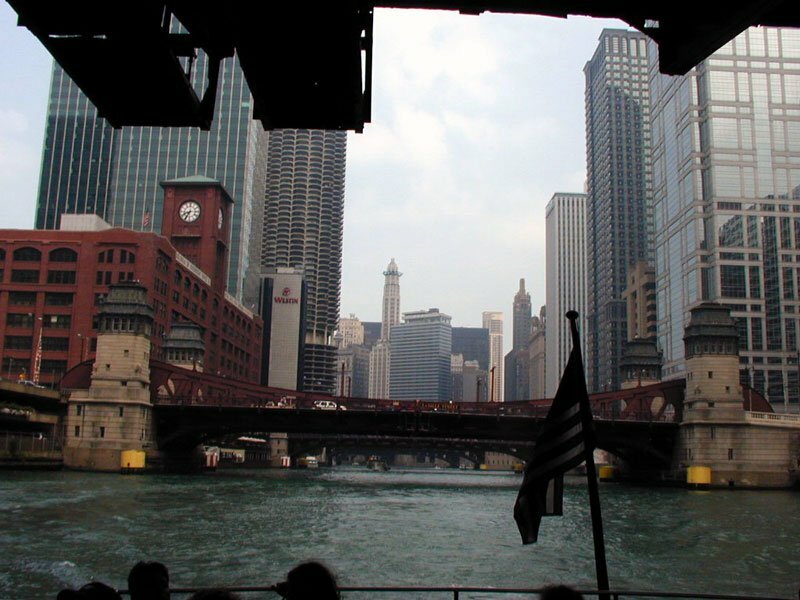 Great to see you enjoyed some of these awesome Chicago attractions, too!